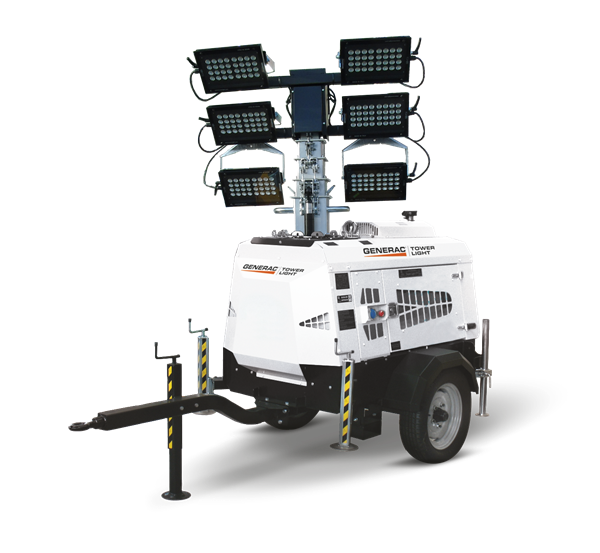 A mobile light tower specifically developed for mining applications. Thanks to its 6x320W LED floodlights, the VT-Mine provides a very high illuminating capacity and all the benefits of the LED lamp. Those benefits include robustness and low maintenance due to the absence of glass and light bulbs. The large fuel tank and the low fuel consumption engine push the refuel intervals to greater than 90 hours of use. The VT-Mine is equipped with a GTL01 digital controller specifically studied to manage every function of the light tower for the best ease of use. 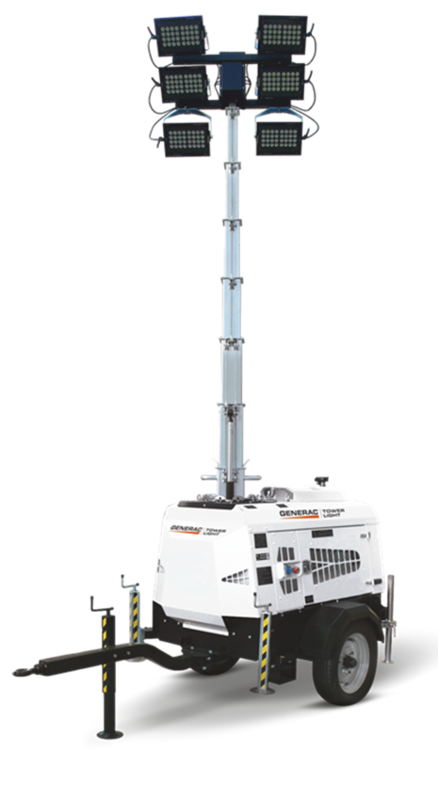 6×320 W high efficiency LED floodlights designed by Generac Mobile®. The model with the highest illumination capacity of the range! As option, the floodlights can be powered with 24 Volts to even increase the safety of the machine. A vertical telescopic mast with an hydraulic lifting system and a maximum height of 8.5 meters. High quality features such as the heavy duty frame, optional road trailer and the anti-breaking LED floodlights make the VT-Mine light tower a model perfectly suitable for hard environments like mining areas.